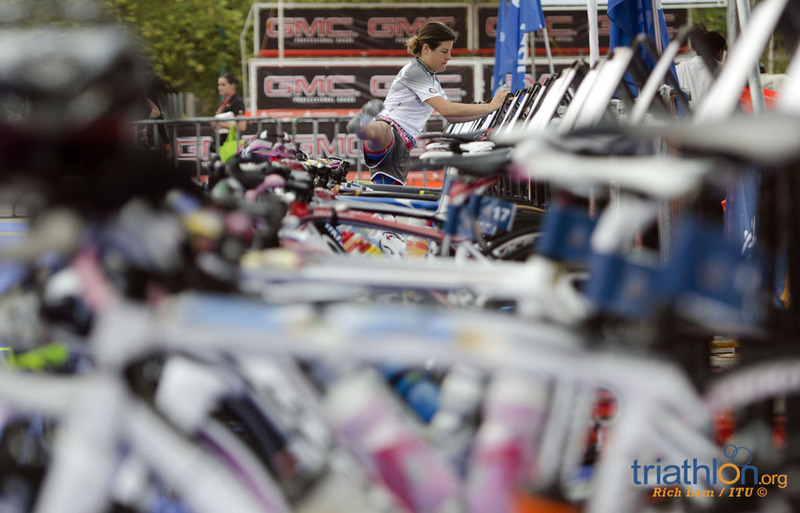 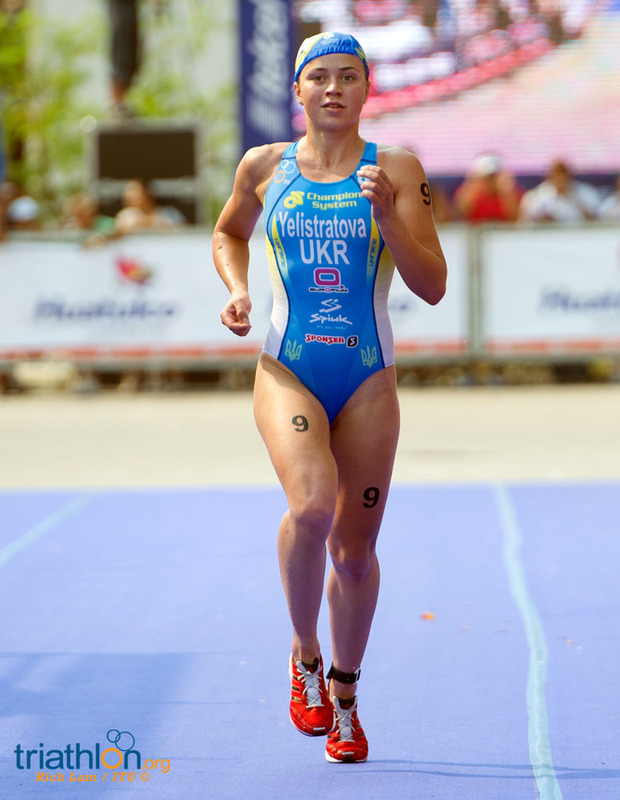 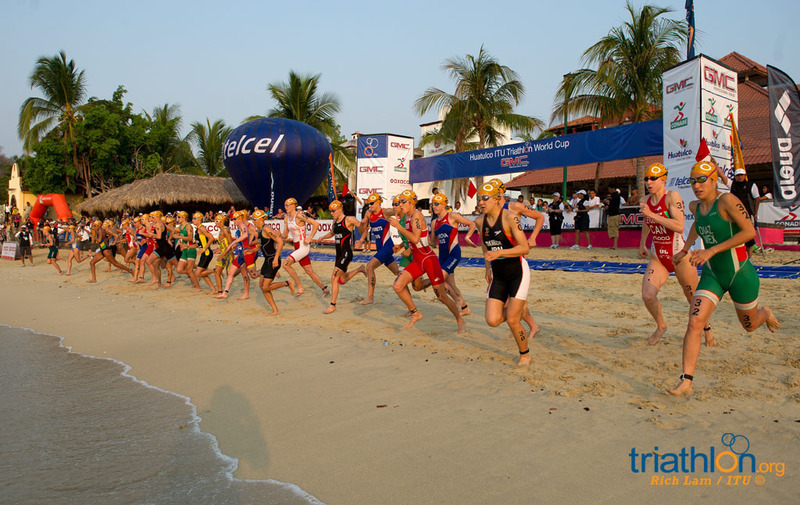 The final Team ITU for 2012 is ready to go at the 2012 Huatulco ITU Triathlon World Cup, as the development programme aims to help give its athletes one last London boost in the final World Cup of the Olympic Qualification period. 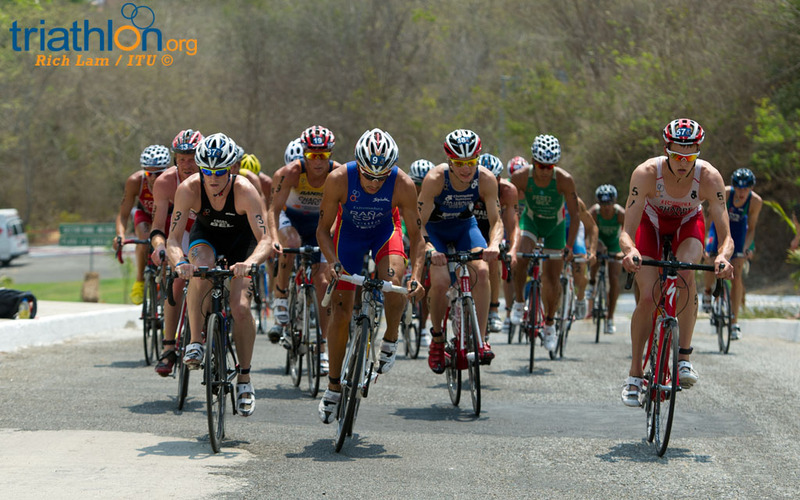 The primary objective of the development programme is to provide support, resources and expertise to athletes from emerging and developing National Federations, who have the potential to qualify for London 2012, to compete at a World Cup level. 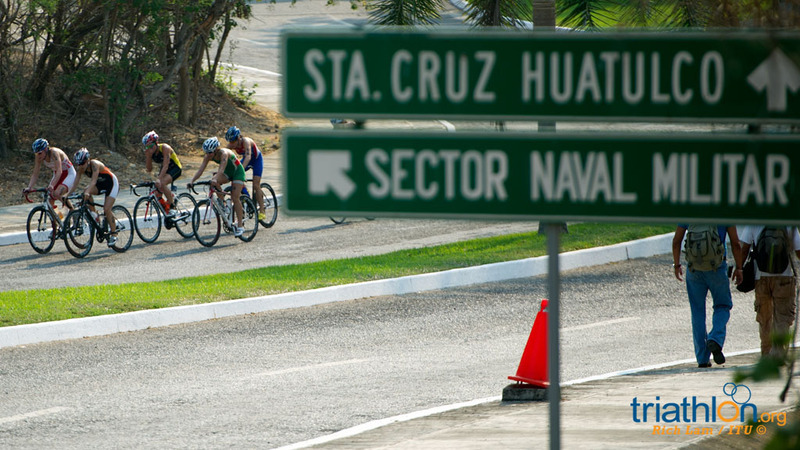 In Huatulco, those two goals meet. 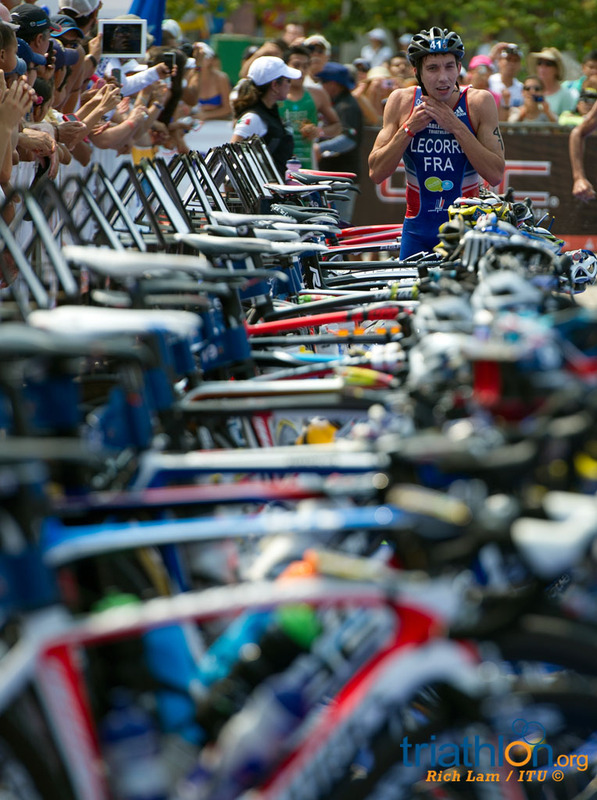 Overall that means it’s one of the final chances for all athletes to claim points for London. 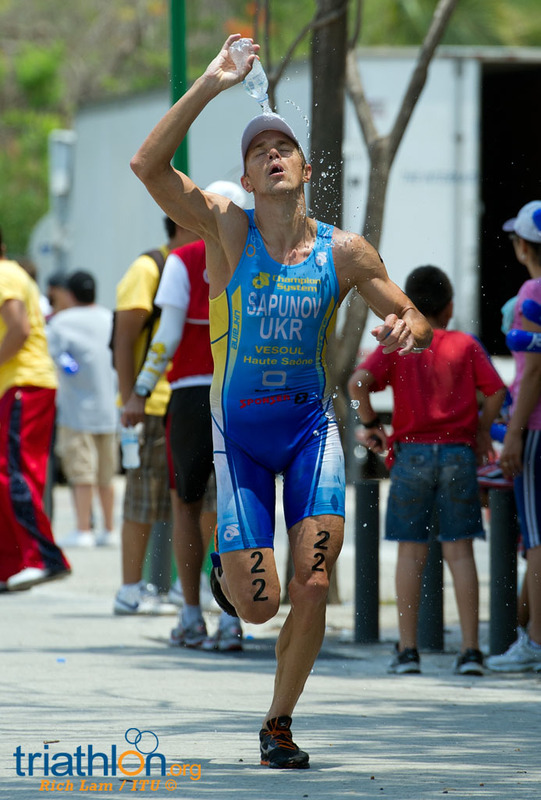 For Team ITU, including Mateja Simic (SLO), Elizabeth Bravo (ECU), Fabienne St Louis (MRI), Yuliya Yelistratova (UKR), Leonardo Chacon (CRC), Ognjen Stojanovic (SRB), Michel Gonzalez (CUB), Dan Alterman (ISR), Jason Wilson (BAR) and Carlos Quinchara (COL), it’s a boost to their campaign to possibly become the first athlete from their National Olympic Commitee to ever qualify for the Olympic triathlon. 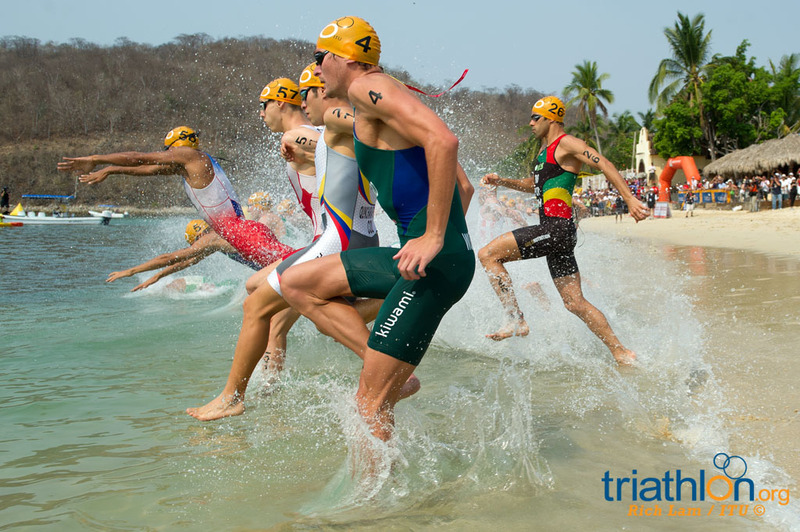 So far, no athlete from Costa Rica, Cuba, Israel, Serbia, Barbados, Slovenia, Ecuador or Mauritis has qualified for an Olympic Games in triathlon before. 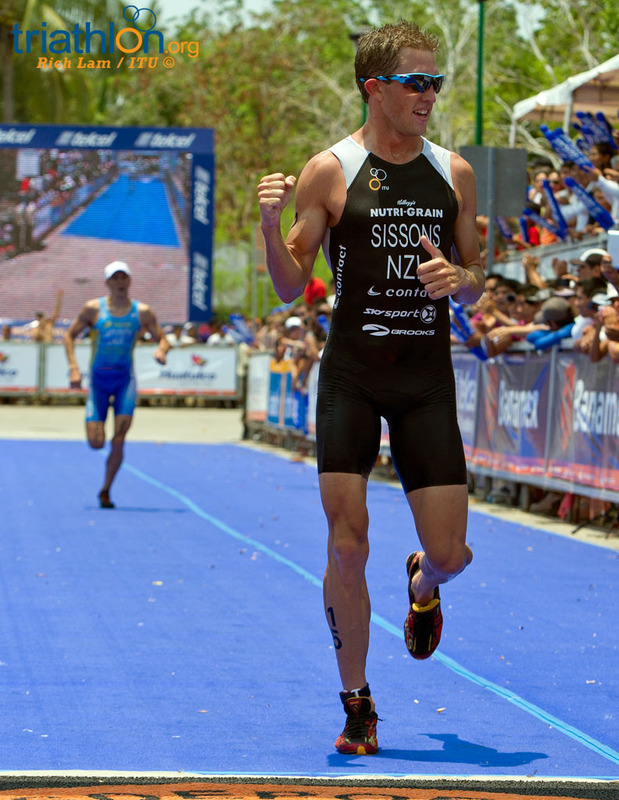 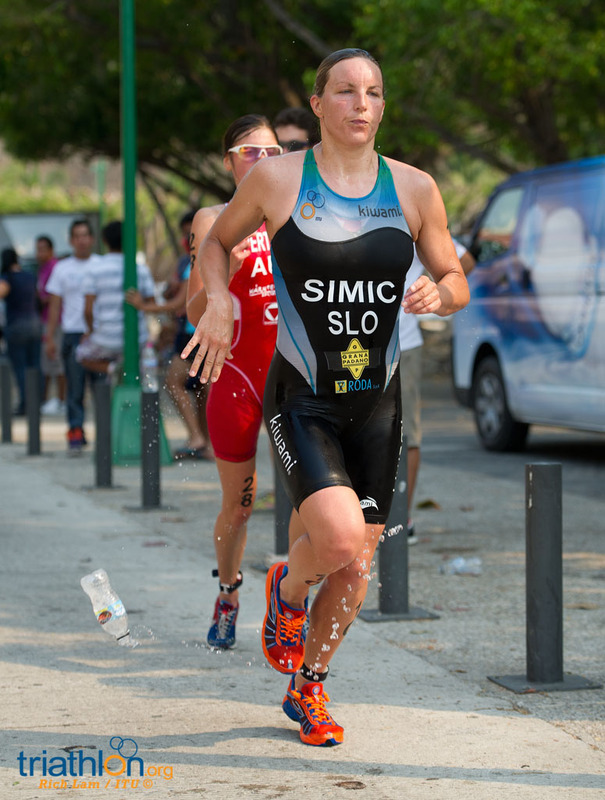 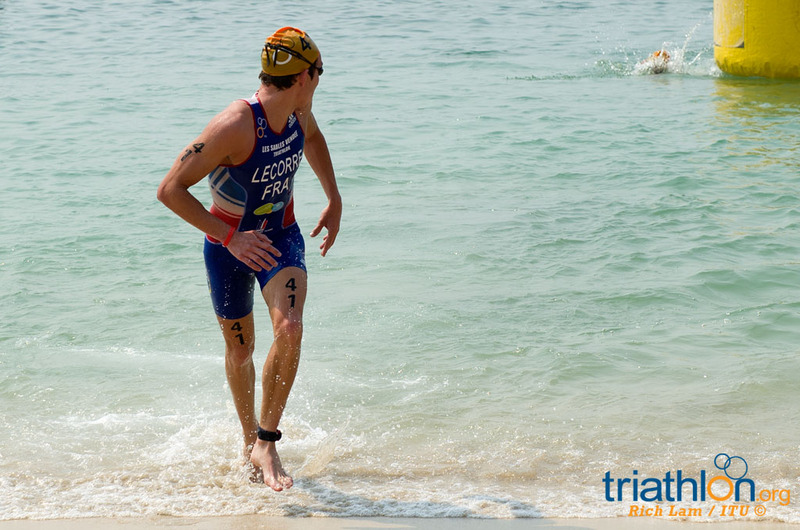 Simic is on the verge of becoming the first Slovenian triathlete race in the Olympics, while St Louis currently holds the new flag African place for Mauritius. 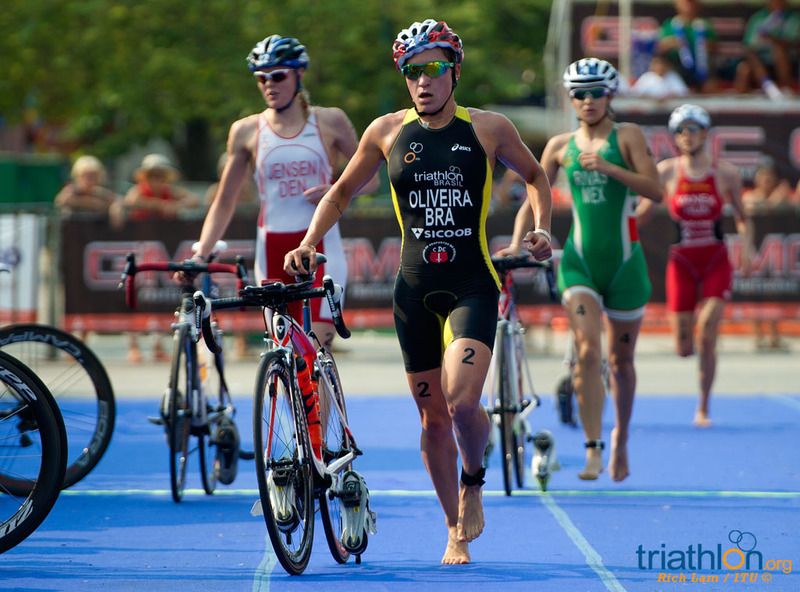 Bravo is just outside the current simulation, but still within reach, while Yelistratova is on track to reach her second straight Olympics. 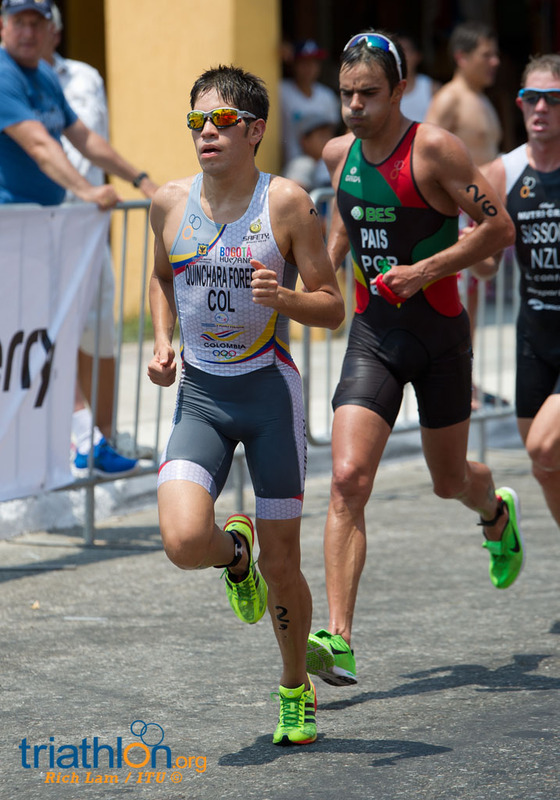 In the men’s, at the moment Chacon is on the Olympic simulation field, but others are close. 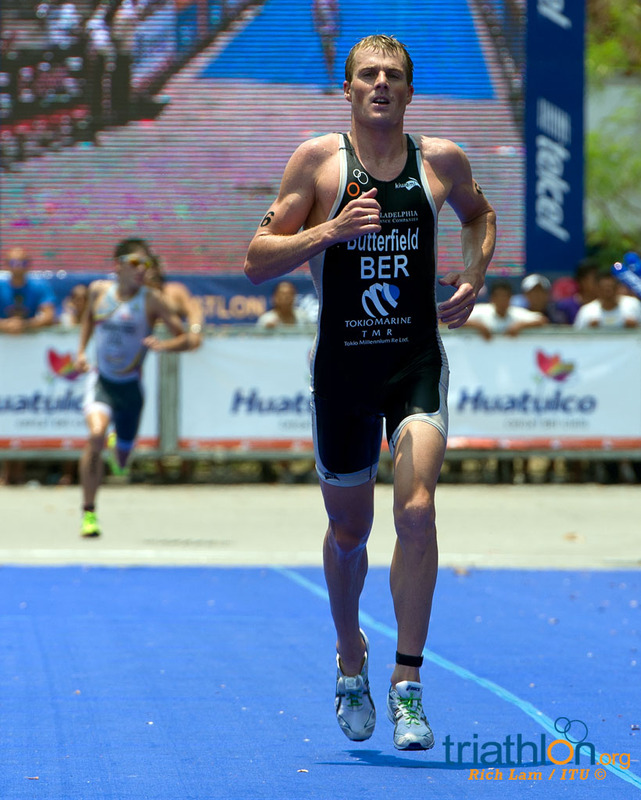 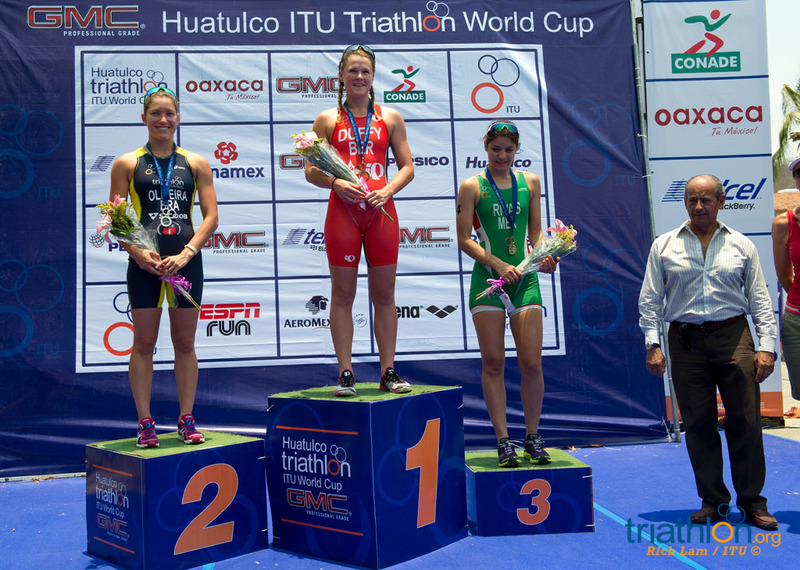 Team ITU’s head coach Gale Bernhardt, who was also coach of Team USA when Susan Williams won bronze in Athens, said Huatulco comes at a crucial point in the season. 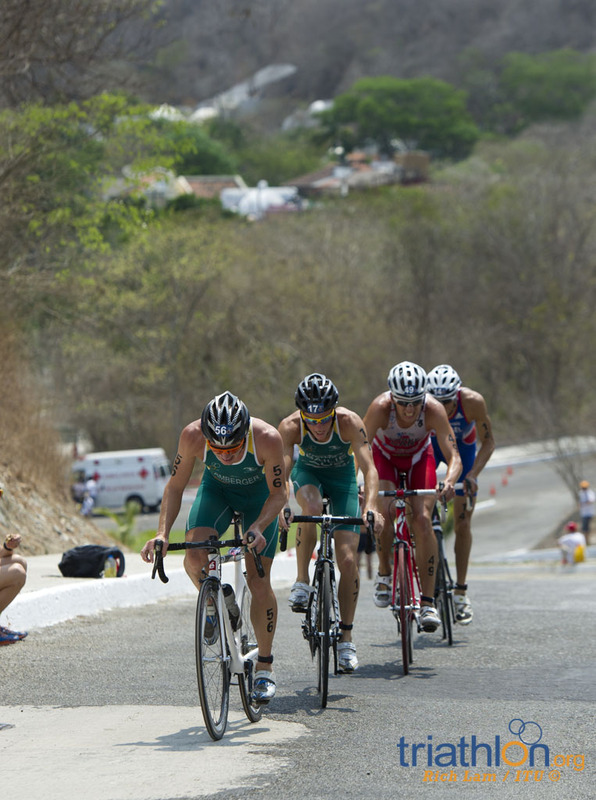 However, the athletes need to balance that outcome, with focusing for the race. 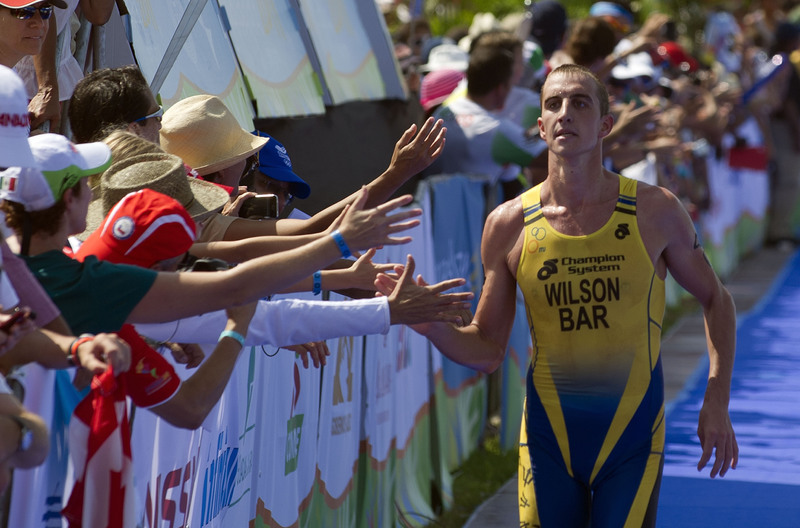 While Wilson is currently fighting for the Americas new flag spot, he said his strategy is to think about that points list for a few days, then put it aside. 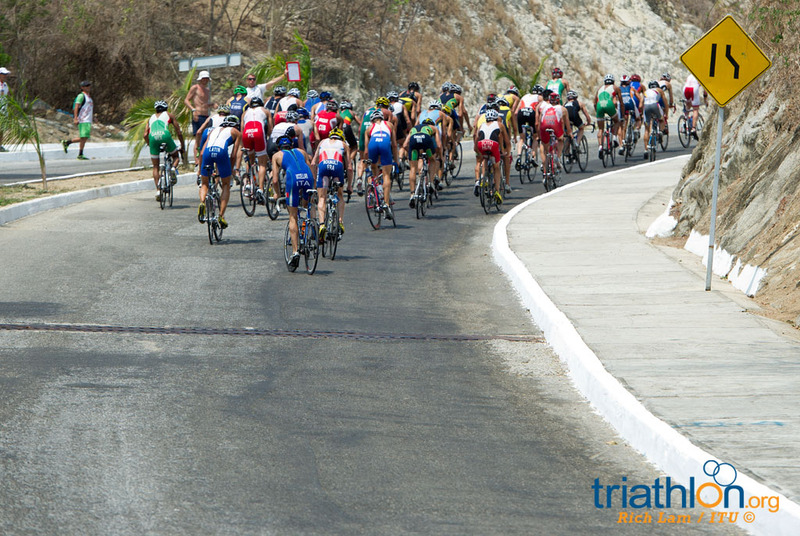 Speaking of travel, it’s a hectic schedule for athletes as they chase those points around the world. 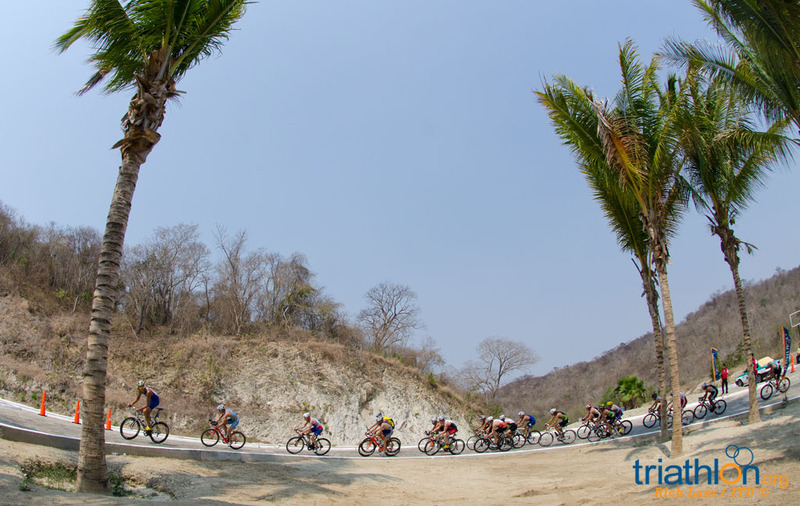 Simic’s past month has been a perfect example; she’s en route to her four continent in four weeks after racing in Sydney, Eilat, Fuzhou and now heads to Huatulco, one of the toughest stops on the tour. 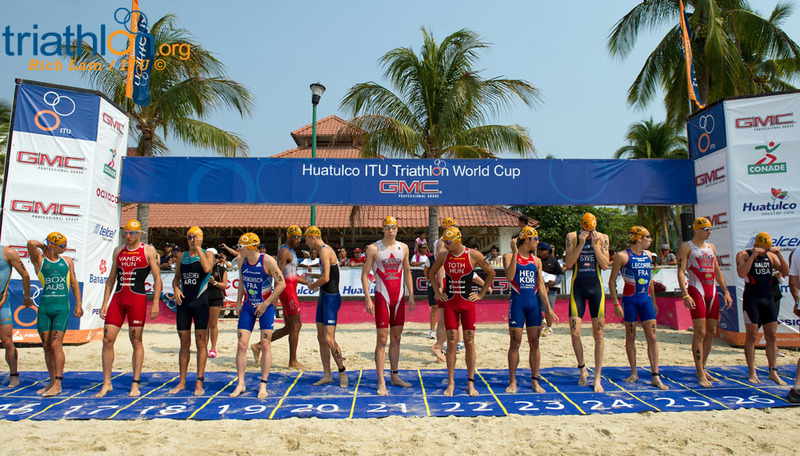 Overall, Bernhardt said while the goals for each athlete might be different, she would encourage them if suitable to follow the Team ITU spirit and work together. 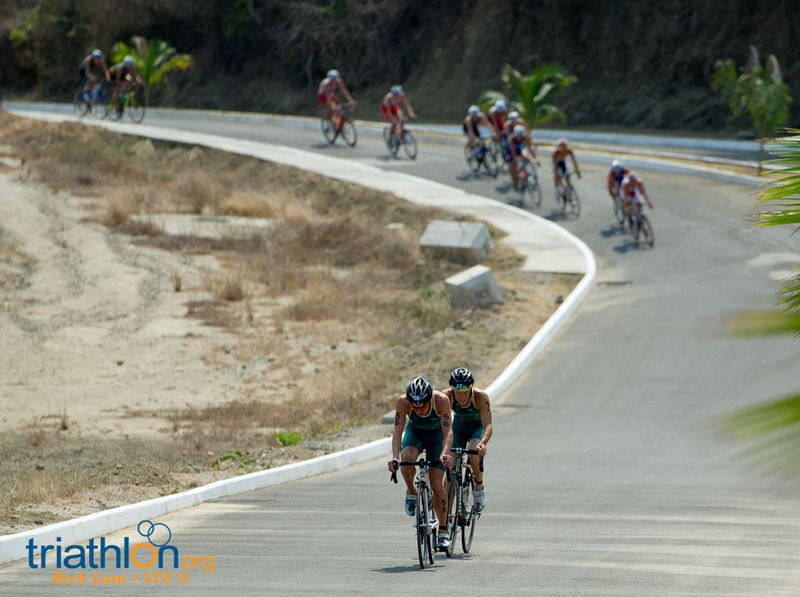 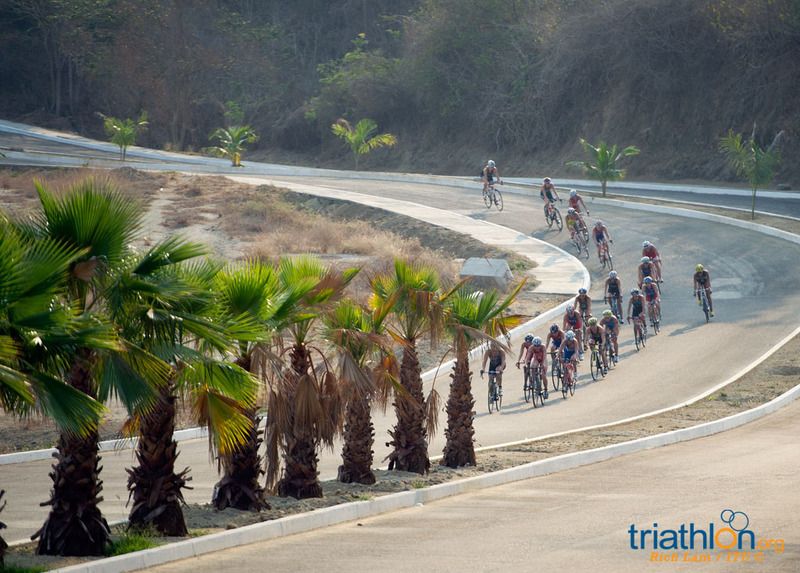 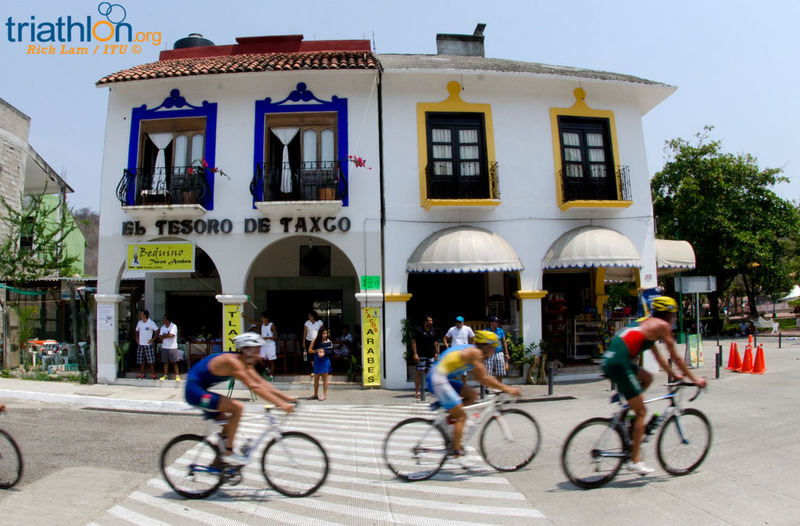 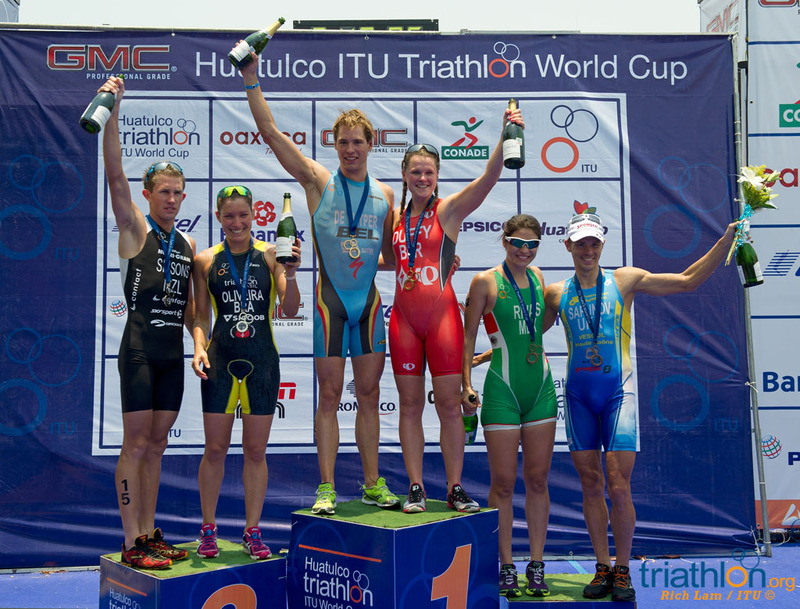 The support team in Huatulco includes ITU Development Director Libby Burrell, world class coaches Bernhardt, Roberto Solano, David Bardi, bike mechanic Jeff Donaldson and physiotherapist Brian Quale. 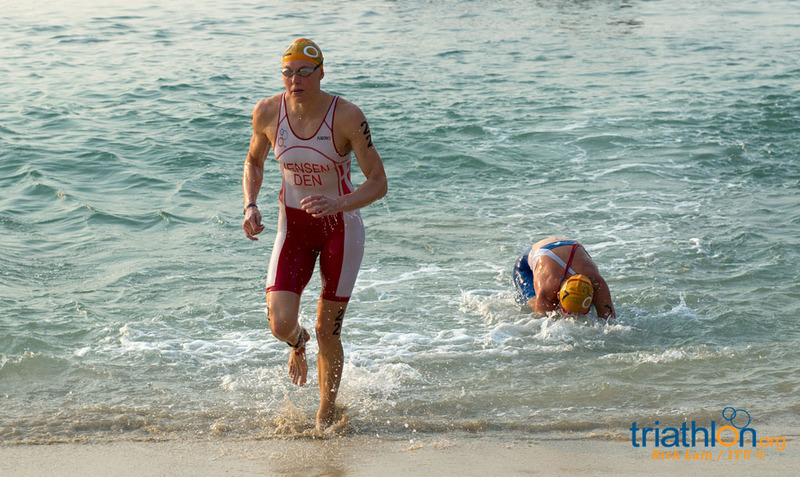 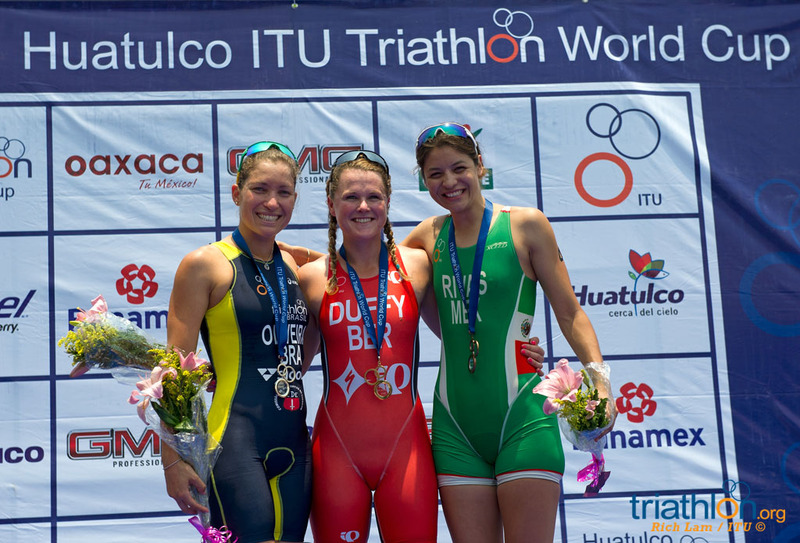 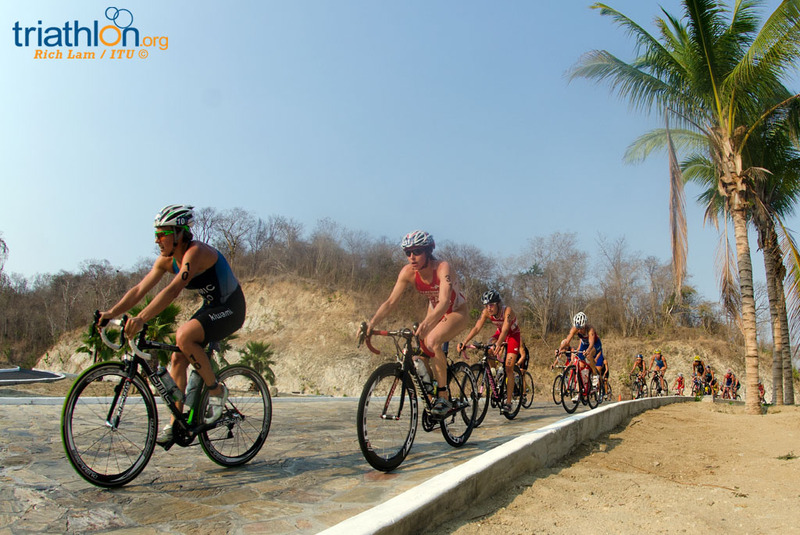 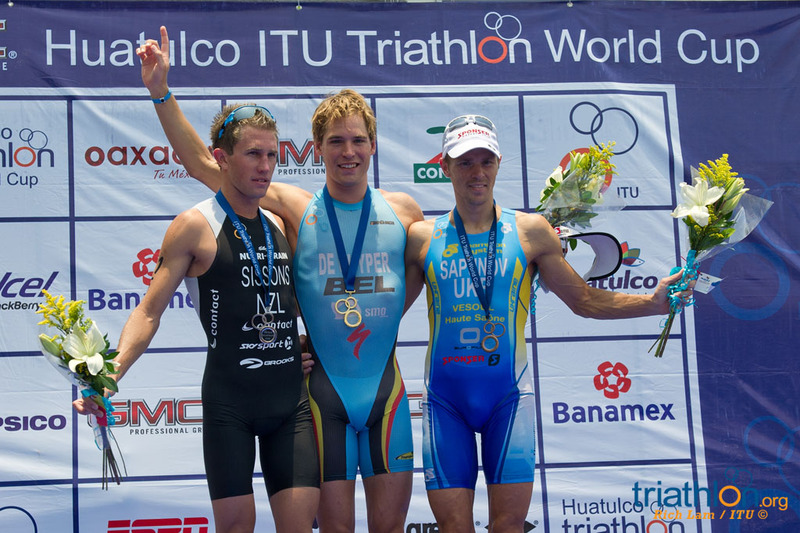 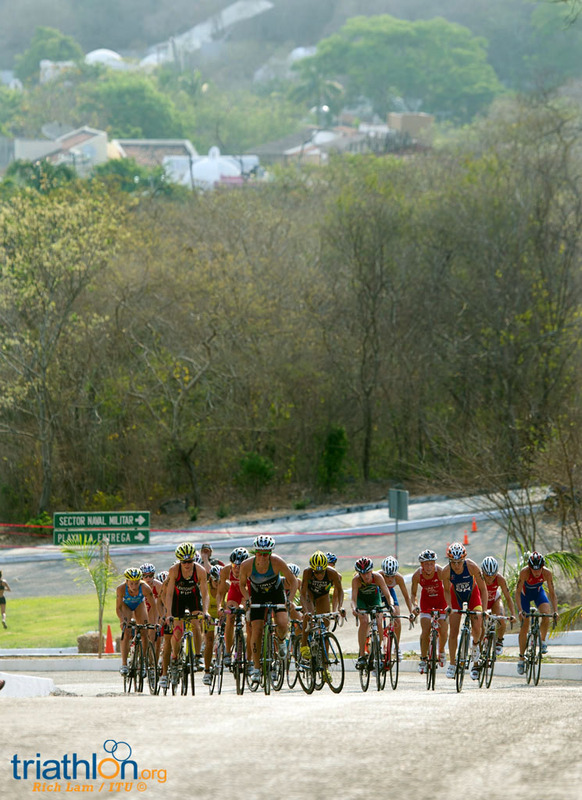 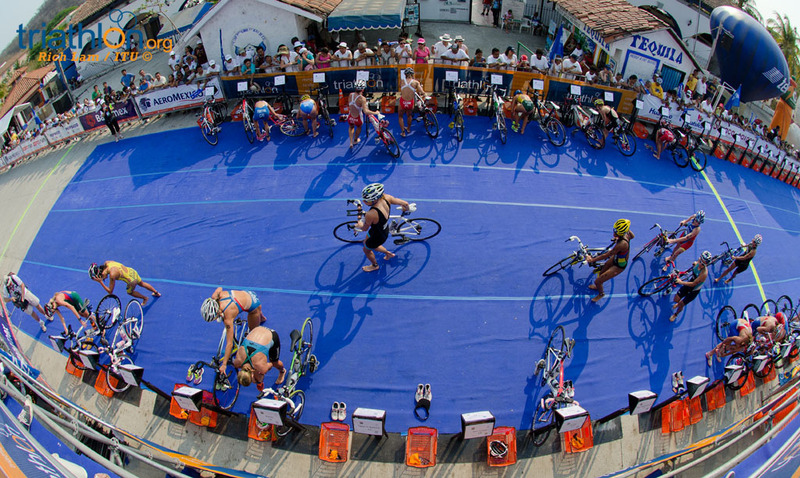 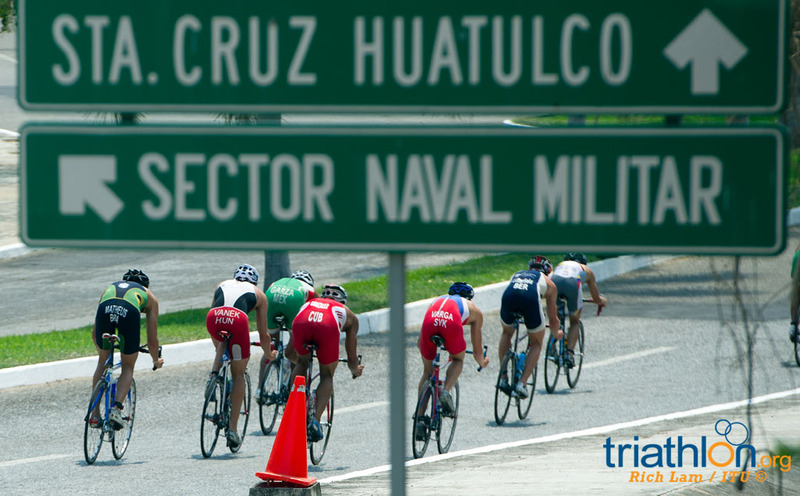 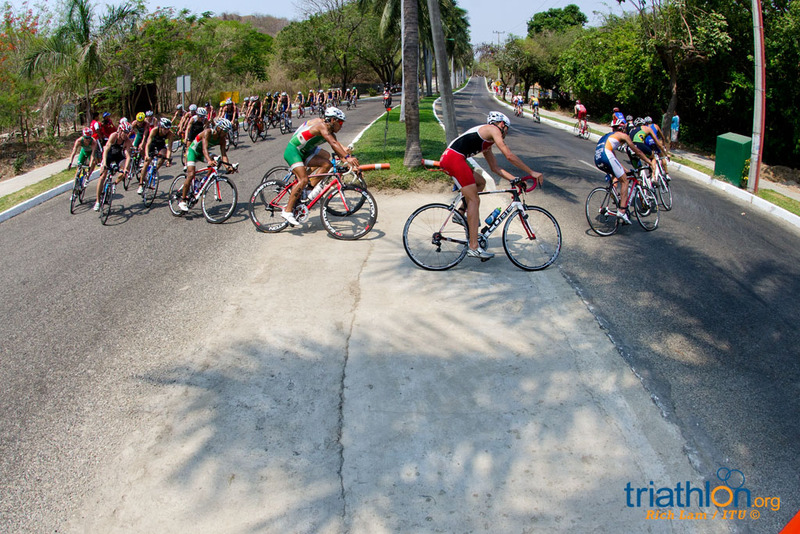 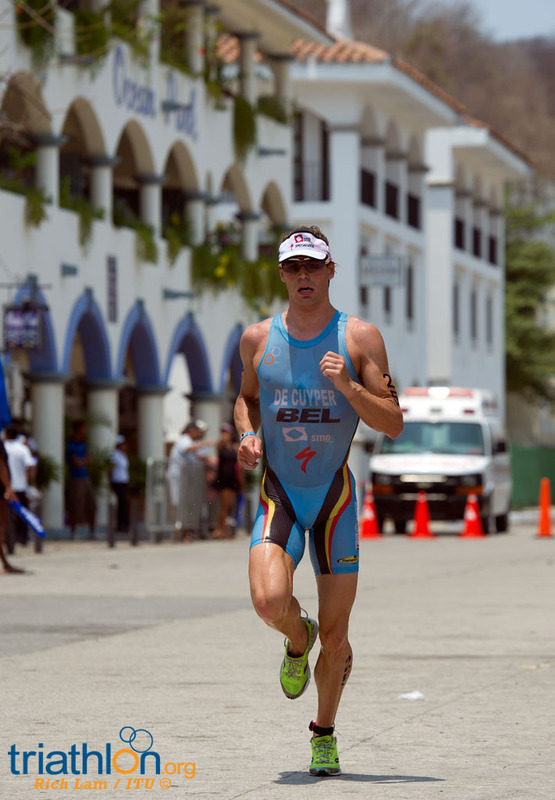 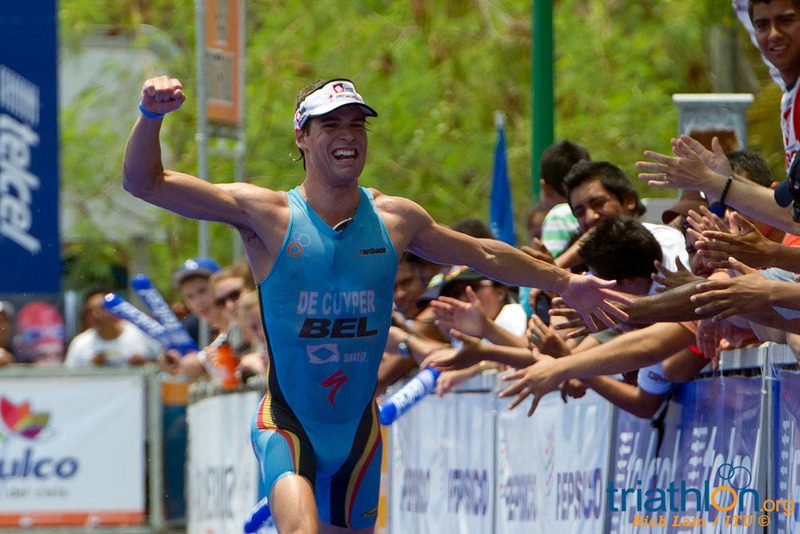 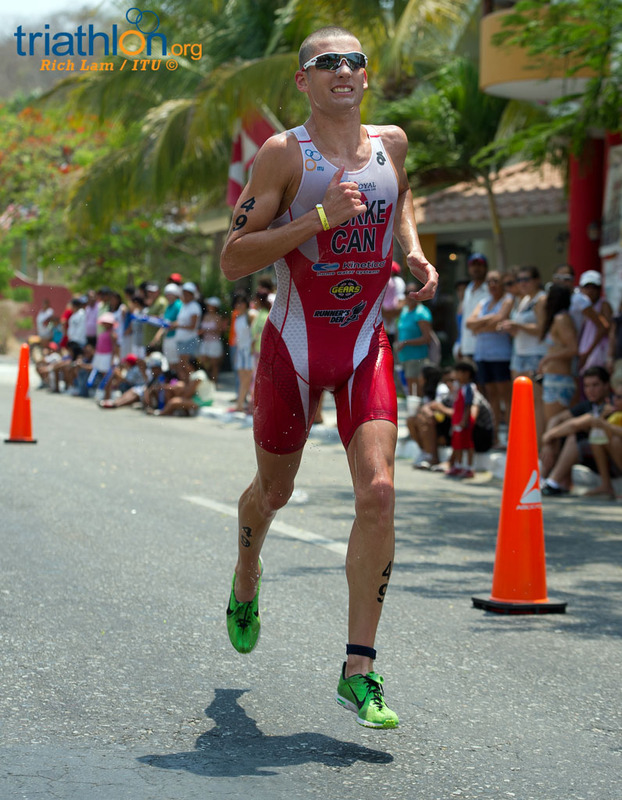 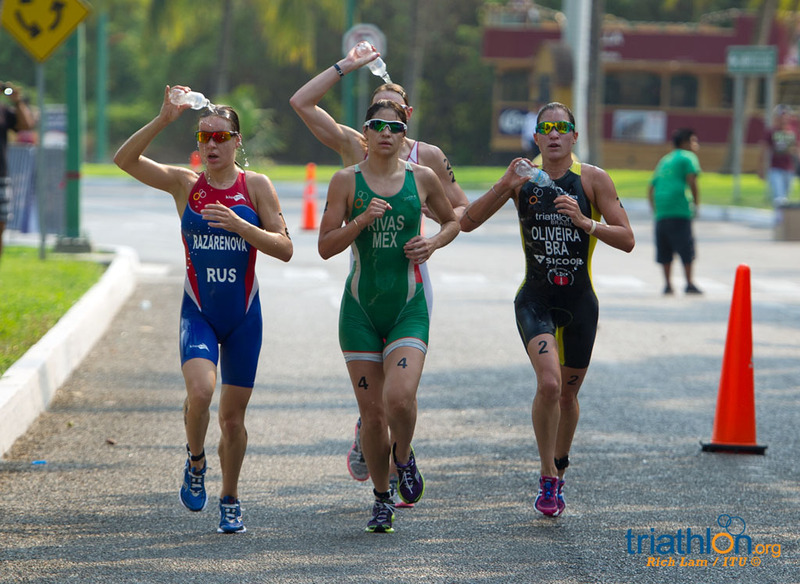 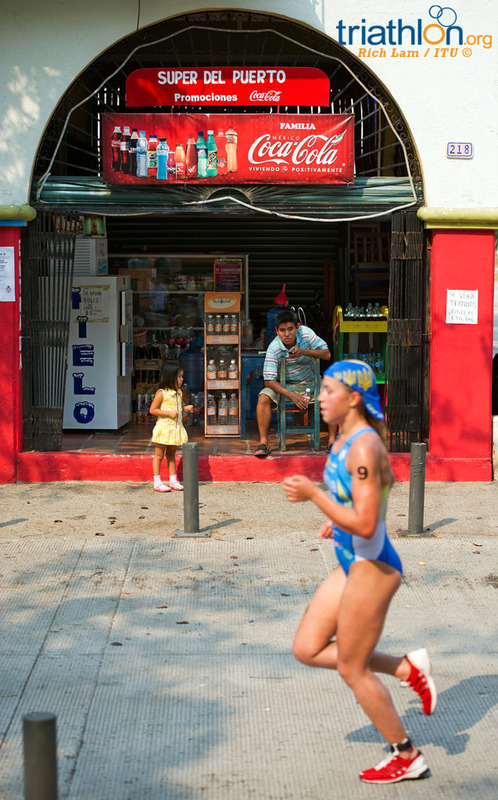 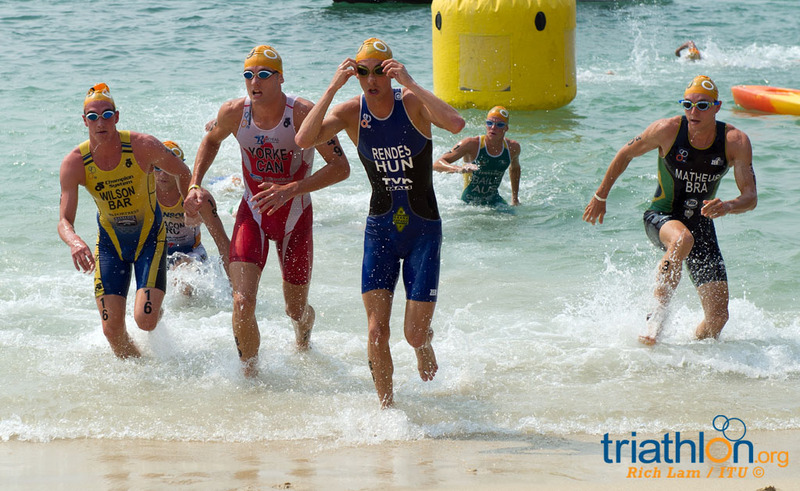 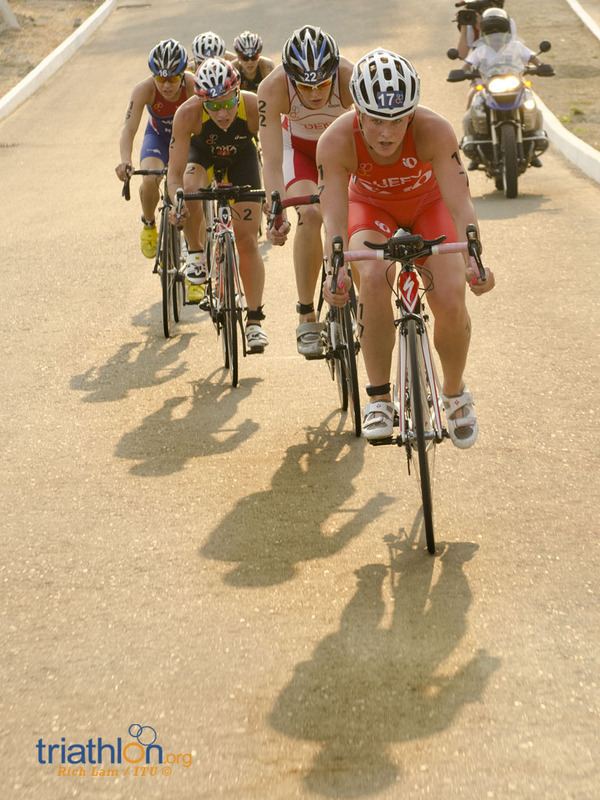 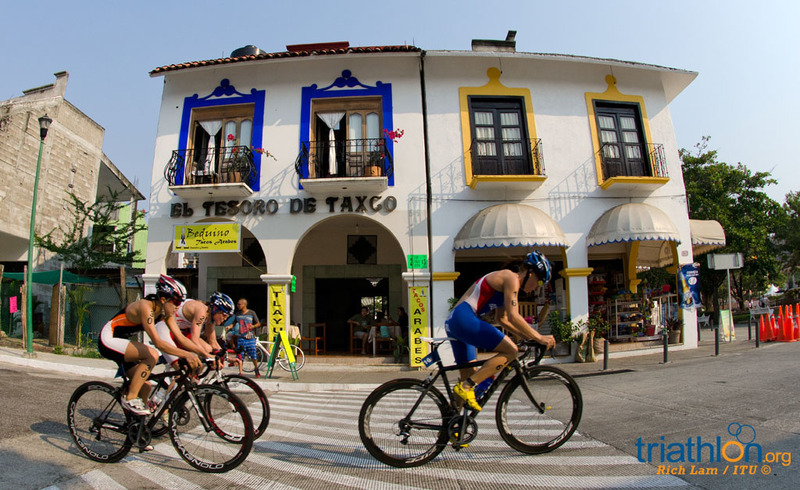 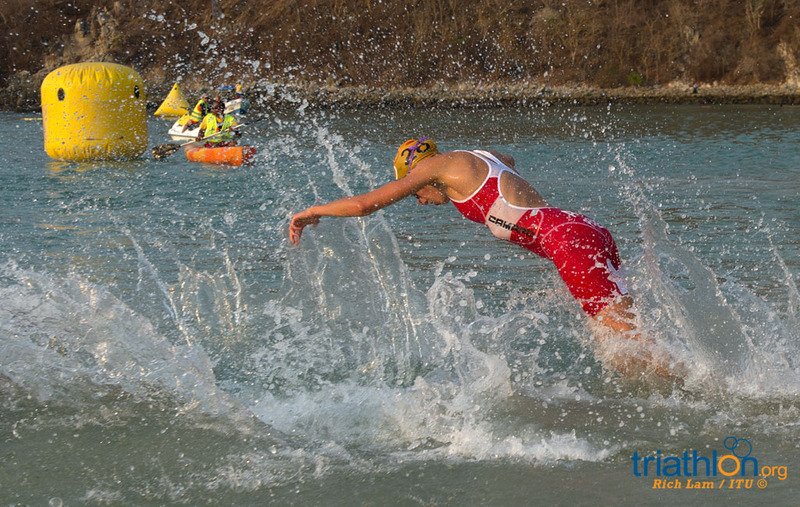 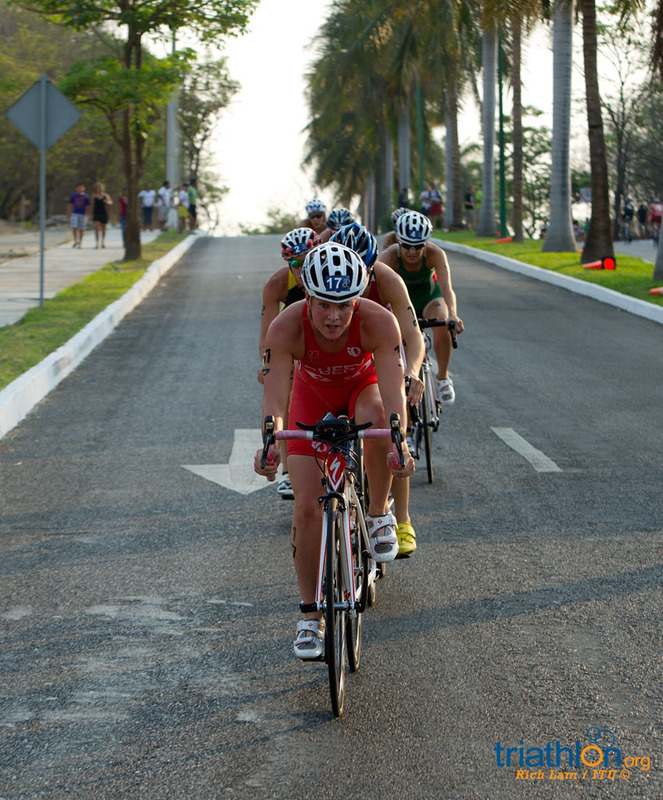 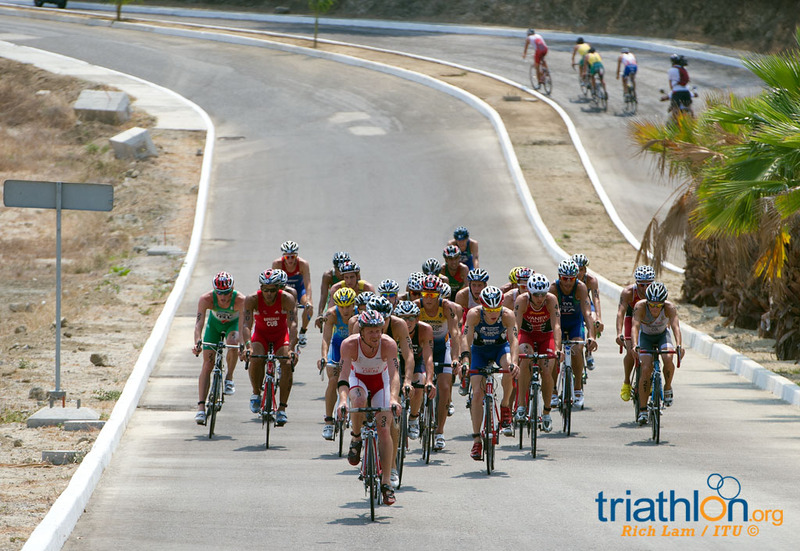 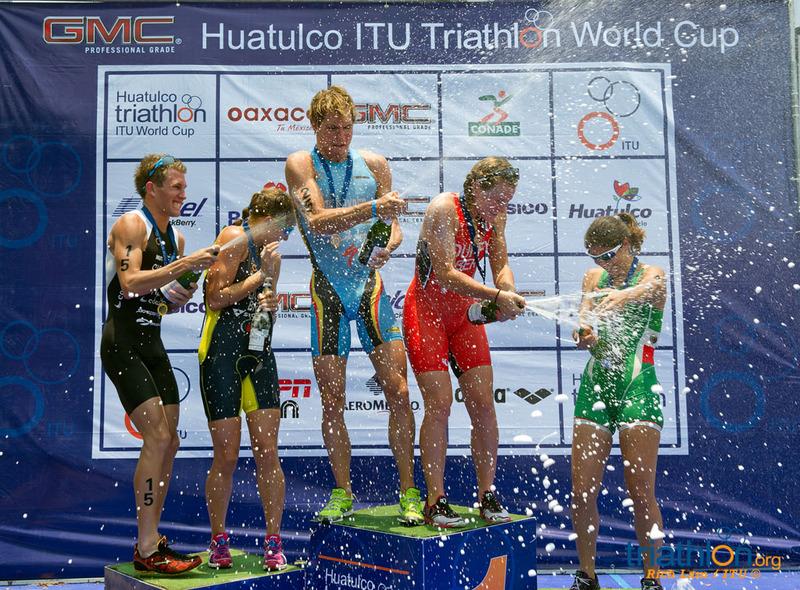 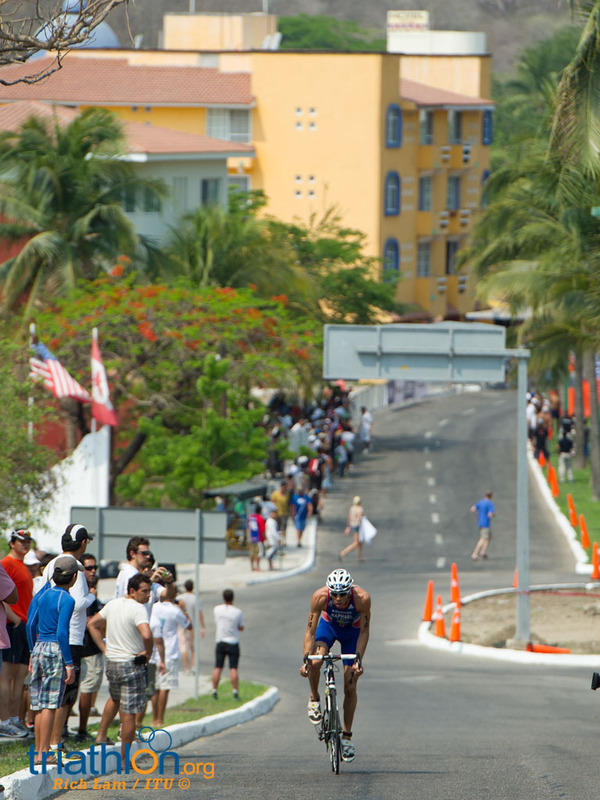 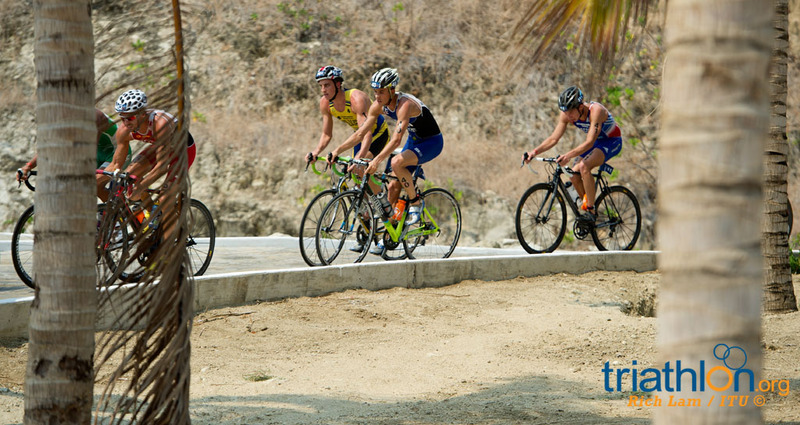 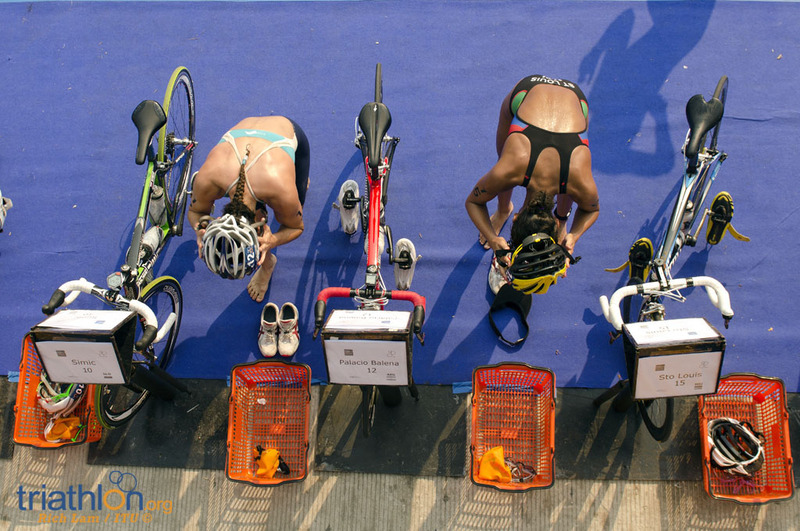 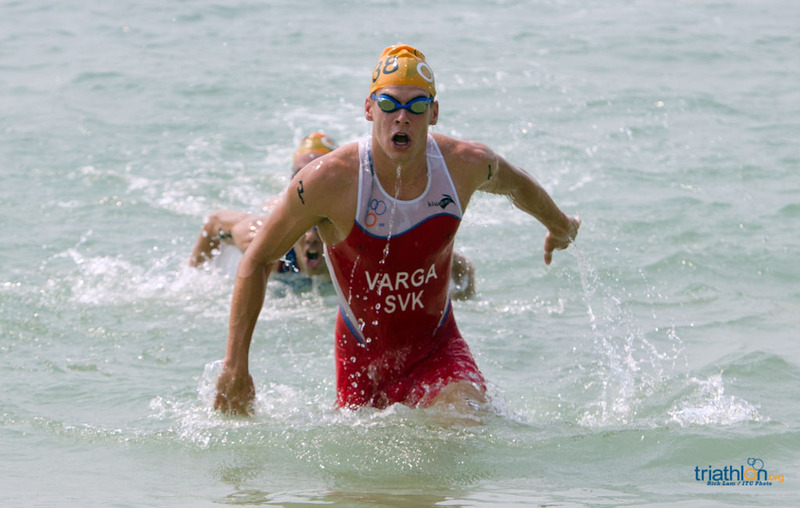 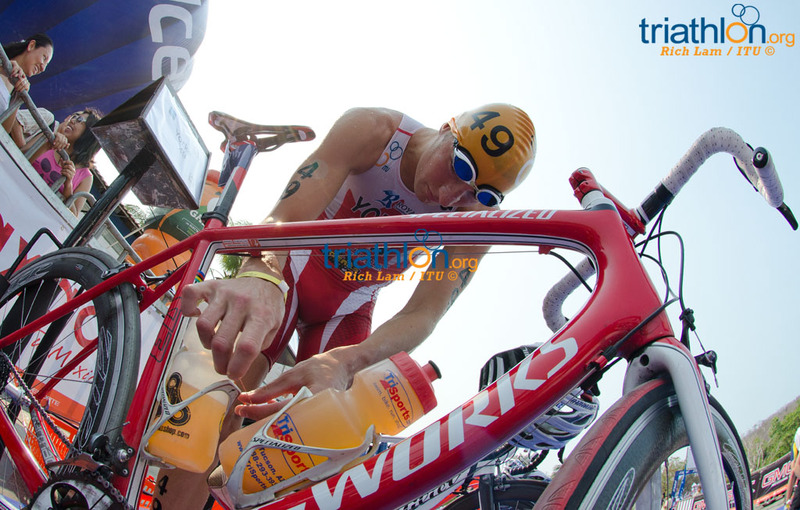 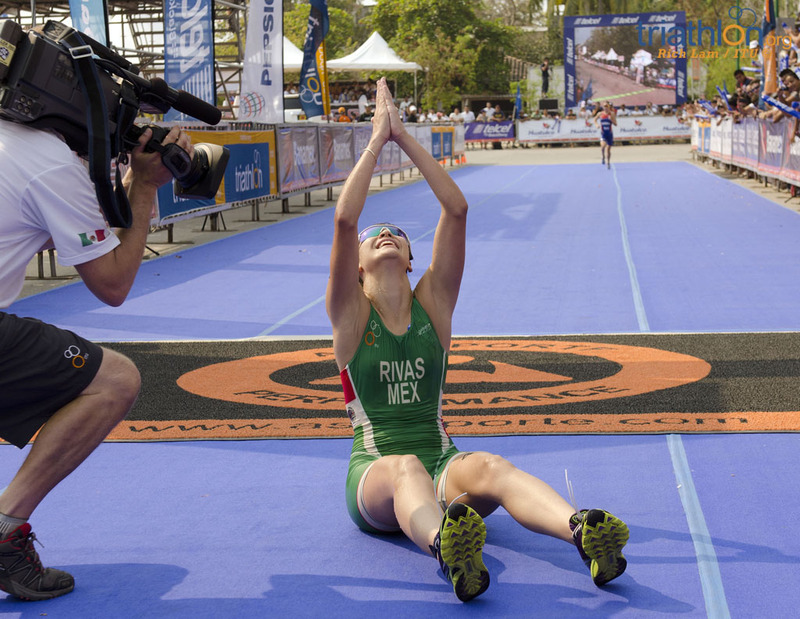 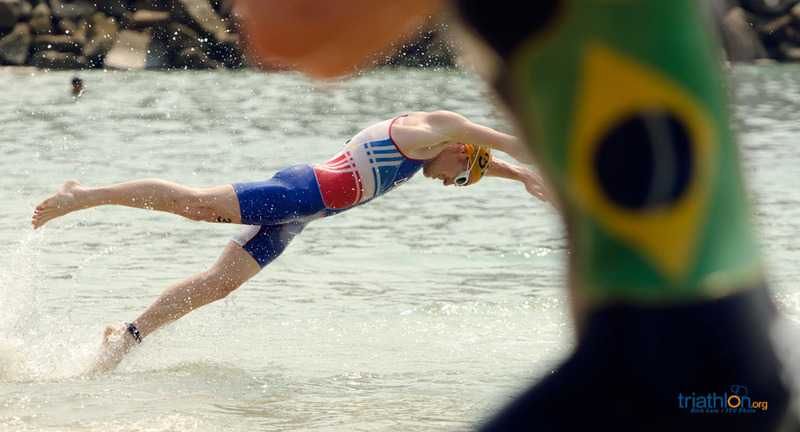 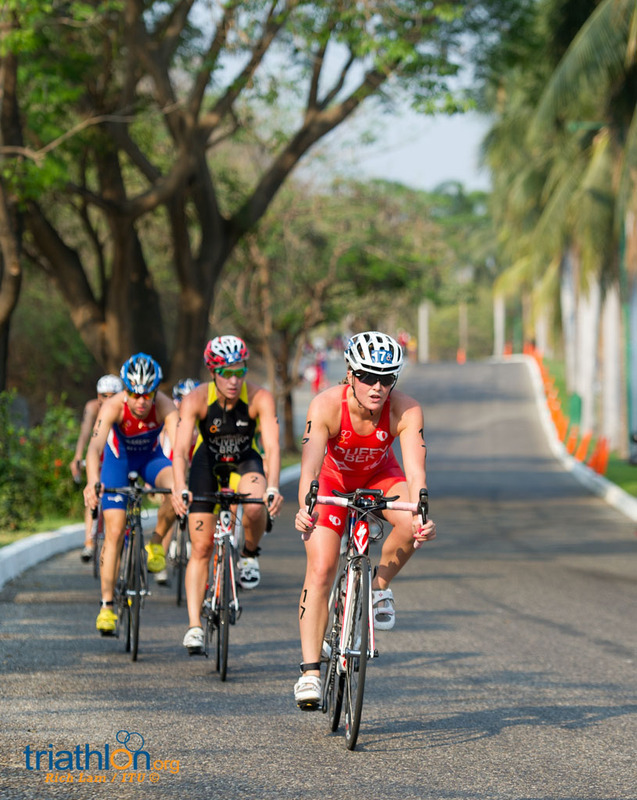 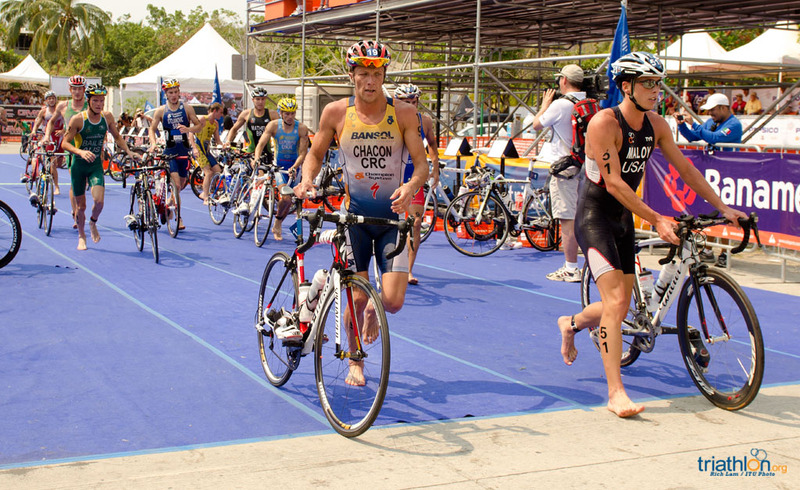 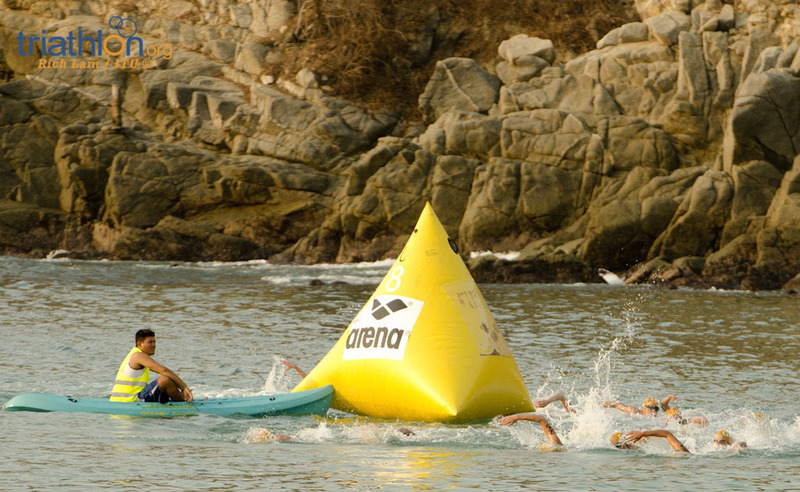 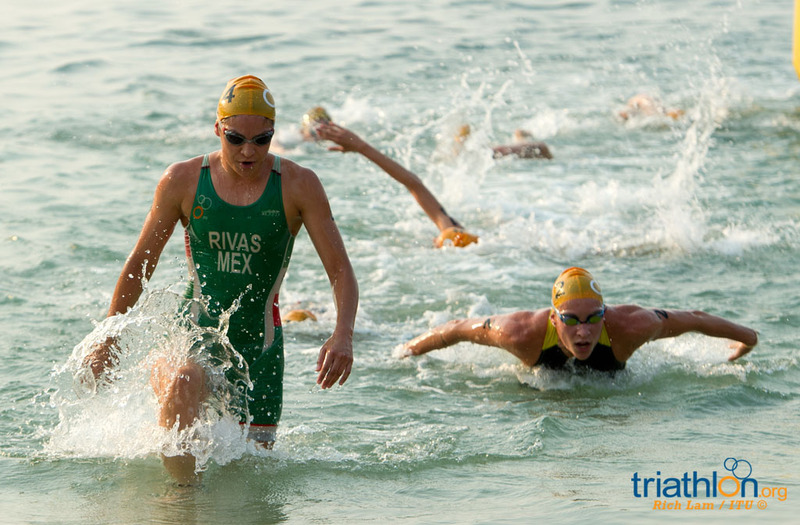 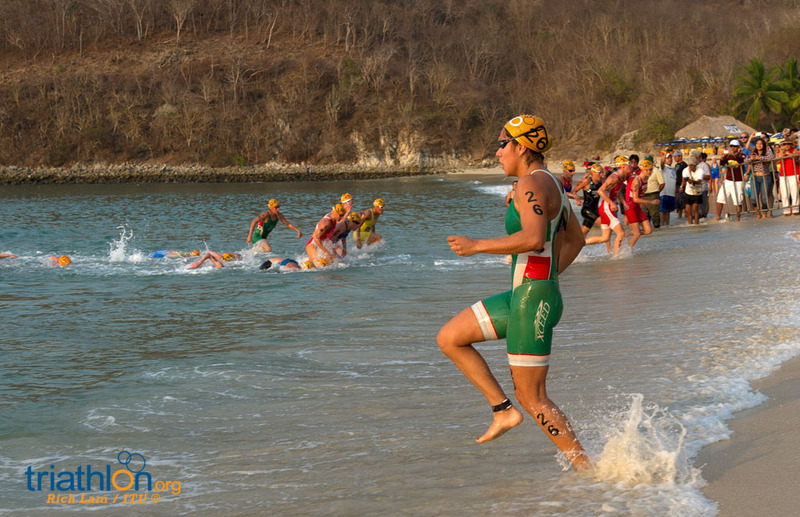 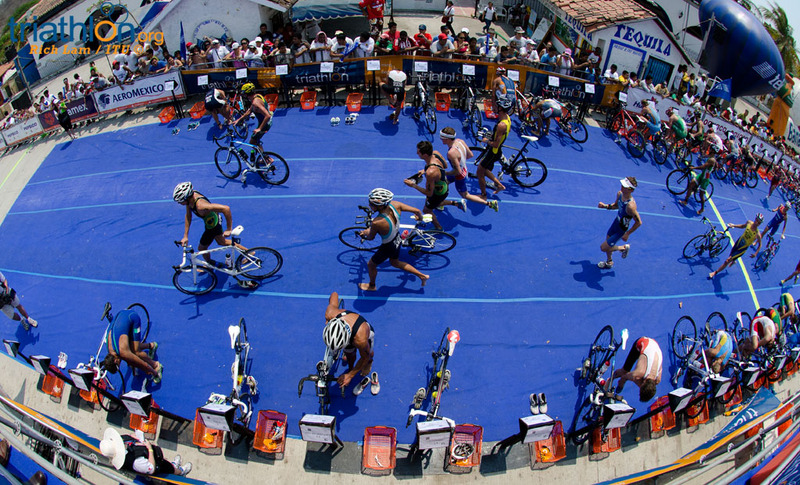 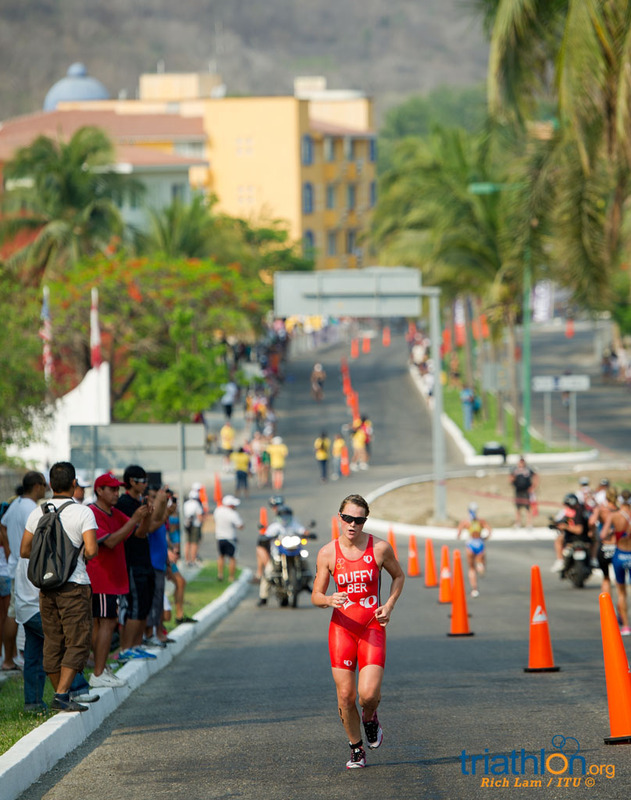 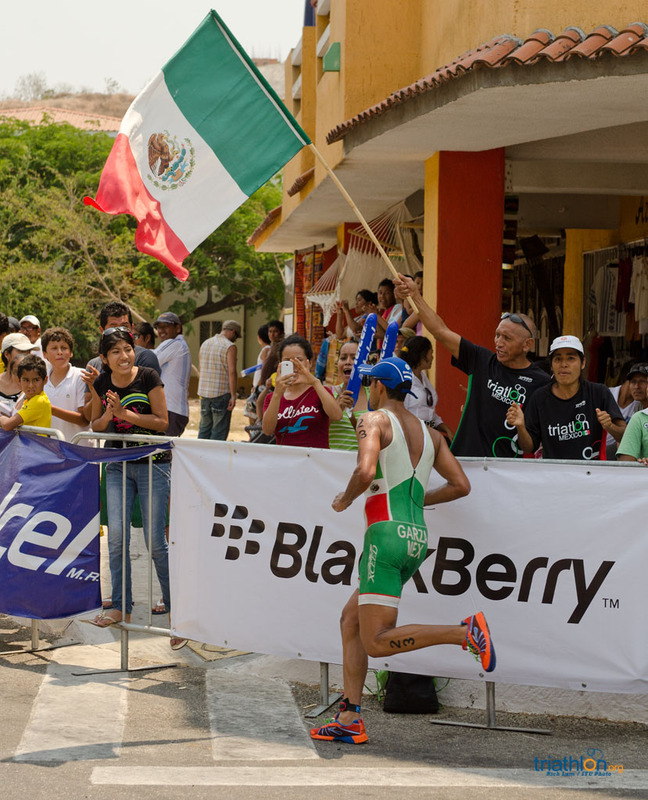 The ITU World Cup series returns to Huatulco for the fifth year in a row this weekend, and it's the last world cup event of the official Olympic qualification period. 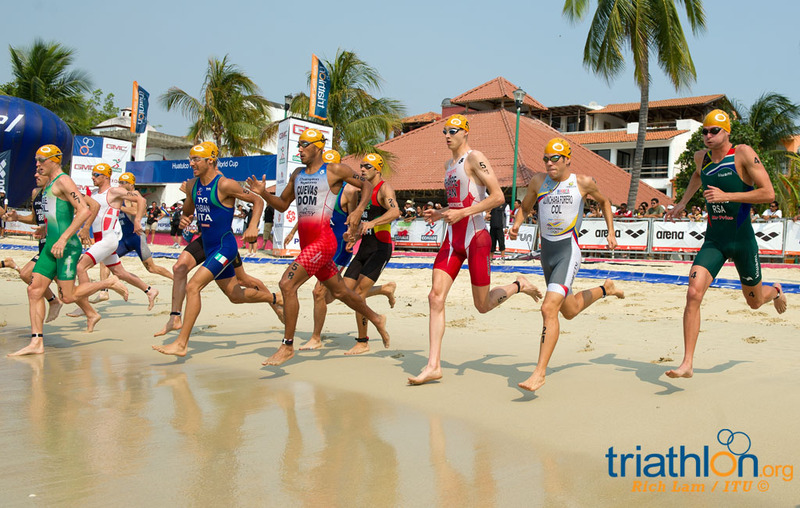 Find out who is going to tackle the tough course here.